The Force Field Analysis PowerPoint Diagram is a useful strategy template for development and management concepts. For example, the process change management, organizational development, decision making for social and psychological issues. This is a simple diagram slide template of force field analysis based on Kurt Lewin’s framework of change. It shows two main components i.e. 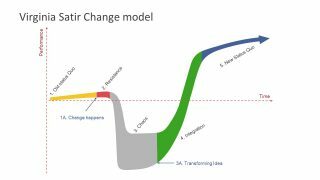 forces against change and forces for change. 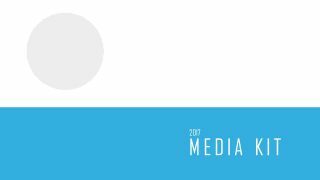 The PowerPoint presentation is ideal for management professionals, trainers, consultants, social and behavioral sciences experts. 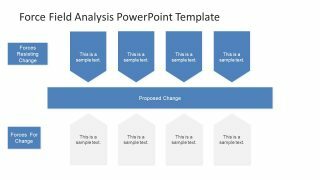 The white and blue theme template provides various PowerPoint shapes and graphic to represent involving units of the concept. These include chevron arrow shapes to enter list of affecting factors. Whereas, the level numbers help users to define the intensity of involving components in first slide. 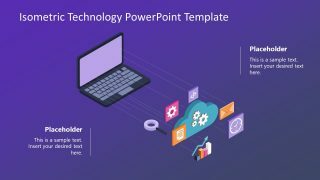 The unique template of Force Field Analysis PowerPoint Diagram has two ready to use creative slides. Also, the editable features assist in integrating the PowerPoint slides seamlessly into another presentation. Therefore, the users can customize the background and shapes colors, rescale images or alter the entire theme. For example, select a chevron segment and go to the shape fill option on drawing format menu to choose new color from the pallet. Similarly, replace white background with another color, picture or combination of both from the format background option in design menu. 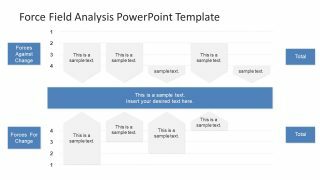 The outstanding diagram of force field analysis template concept in PowerPoint displays the framework or factors influencing any situation. The force field diagram assists in discussing negative and positive forces impacting the process. Hence, the viewers can identify the factors which drive the process towards its objective or sustain from it. 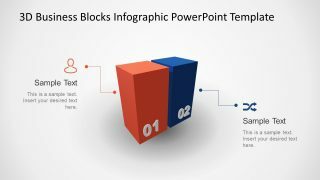 This is an incredible business PowerPoint template diagram of change management with high resolution vector shapes. Further, resizing these images to any length or width does not affect its quality.